Agape continue explorations along the directions set in Milan. New environments to display the potential of the most recent products. The Design Post installation explores the building-block like flexibility of the Agape catalog. In an inspiring and richer than ever world of materials and finishes. 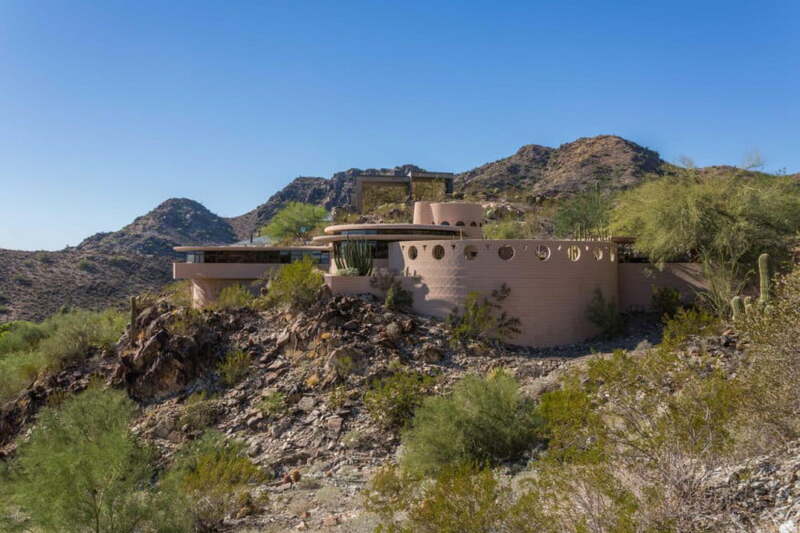 Exercises in architecture on the subtle notes of the Terre di Matteo Brioni. Ell Design by Benedini Associati with Andres Jost and Diego Cisi. First there is Ell (design Benedini Associati with Andres Jost and Diego Cisi). Distilling the essence of the washbasin in its seemingly impossible, subtle blade in white Carrara marble. A 260 cm long seamless architectural gesture with an eye on practicality. That finds its ideal companion in the burnished brass Memory tapware (design Benedini Associati). And in the Lato container system with its large selection of materials and finishes. At the intersection of material know-how and craftsmanship lies the new In-Out. 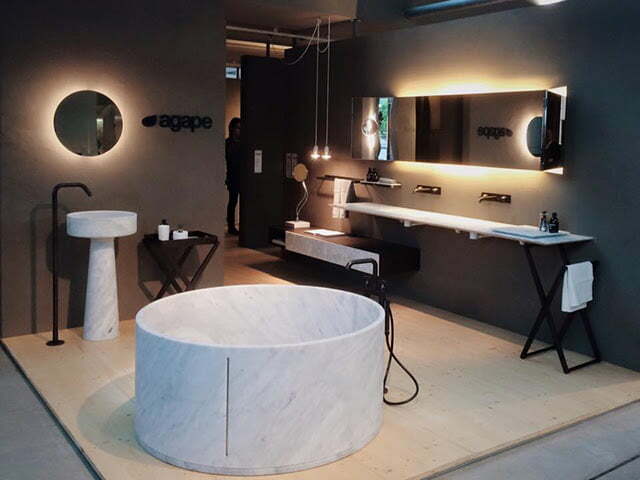 The new version of the bathtub by Benedini Associate, in white Carrara marble. 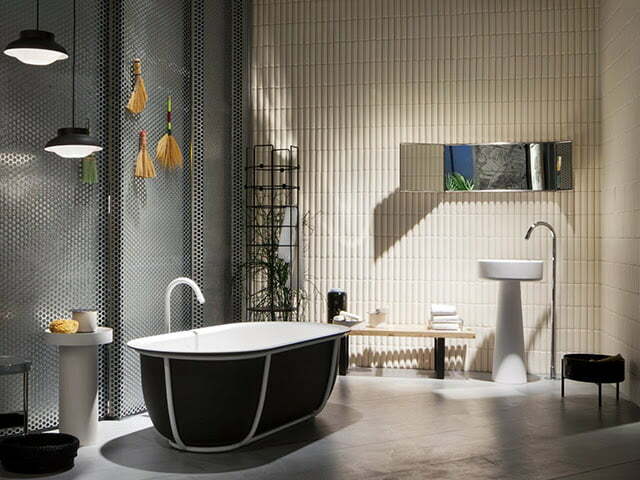 Challenges the idea of a monolithic bathtub with its pioneering multi-piece design. Benefiting form, manufacturing and transportation in the process. A new collection of extras by Sebastian Herkner. That are making their debut alongside the Cunabathtub by Patricia Urquiola. And the Bjhon 1 washbasin by Angelo Mangiarotti. At “Das Haus – Interiors on stage”. A conceptual and visionary installation by the young designer. This year’s Guest of Honour of IMM Cologne. Also on display against the wall entirely made of sweet smelling soap (!) two classics of the Agape catalog. 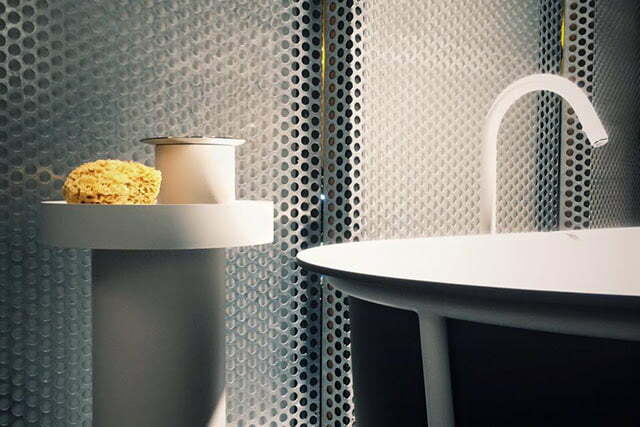 The Gabbiano mirror (design Giuseppe Pasquali) and Fez tapware (design Benedini Associati). The installation will remain open until January, 24th. Imm Cologne 2016 – Kölnmesse. The Gemma extras by Sebastian Herkner. The Gemma extras by Sebastian Herkner include containers and tray to protect. Present your small objects or products. That are part of your daily ritual in the bathroom. The small, cylindrical wooden containers are close by polish stainless steel trays. With their different width and high, they organize in a charming and simple way. Creative Flexible Wood DUKTA for Interior Fittings and Furniture Design.